Betty Ramsey has good news, House and Garden magazine wants to do a picture layout on the Ricardos' home; Ricky has bad news, the bills are piling up and he's slowly going broke. Lucy suggests they raise chickens to bring in a little extra money. Very little investment is required. 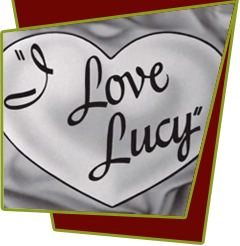 Lucy reasons: "What can a little grain cost, fifty cents? That's chicken feed." Ricky advertises for an experienced couple who can care for the chickens in return for a percentage of the profits, and who should answer the ad, the Mertzes. Fred's poultry experience: "For the past twenty-five years, I've been hen-pecked!" Counting their chickens before they're hatched (literally), Lucy and Ethel buy five hundred baby chicks before Fred has a chance to finish the required coop. In the meantime, it is imperative that the chicks be kept warp, so they place the creatures in the den and turn up the heat to ninety degrees. They then find that Little Ricky has accidentally left open the den door, and the baby chicks are crawling all over the house. While everyone is frantically corralling the birds, the House and Garden editors arrive. Unimpressed, they depart. The Ricardos don't mind, maybe next month they'll make the Chicken Breeders' Gazette. Special Notes: Like so many episodes, this idea was taken from the Arnazes' true life. As newlyweds at their Desilu Ranch, Lucille Ball and Desi Arnaz raised chickens, cows, and had several dogs. They ate the eggs and drank the milk from their farm animals, but never slaughtered their pets for food because they became too emotionally attached. The writers remembered her impression of the chickens which made it's way into this episode. Bloopers: When Little Ricky comes in the front door to find the chicks, a hand and the shadow of a stage hand assisting him is visible as he opens the front door.